The main characters of the PS Vita games Utagumi 575 and Miracle Girls Festival, as well as the anime Go! Go! 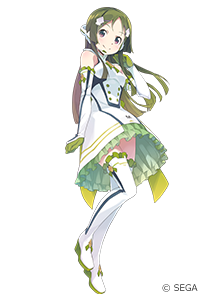 575, Matcha Kobayashi (voice actress Ayaka Ohashi), have finally been made into VOCALOID Voicebanks! - She has a powerful, yet composed voice, and is recommended for calm melodies, such as slow-tempo ballads. 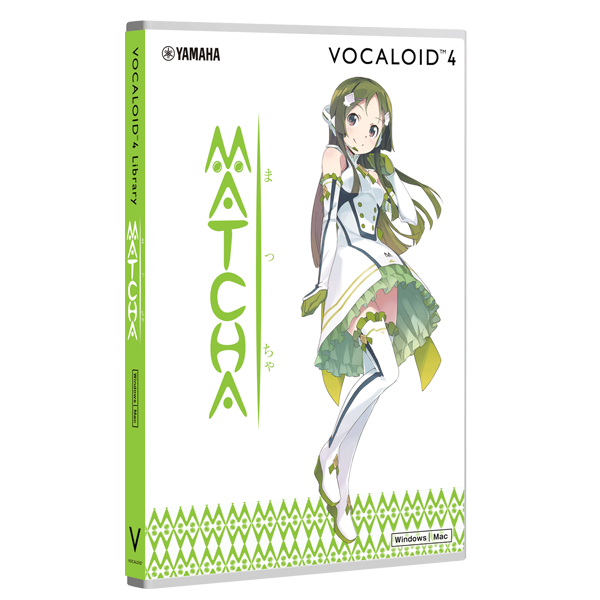 - She is also available with "VOCALOID4 Library AZUKI" in a special “VOCALOID4 AZUKI & MATCHA” set . build traditional Japanese 5-7-5 tanka and haiku poems. around her with her sharp tongue. Uzuki Shimamura in THE iDOLM@STER: Cinderella Girls, Adeltroot Alter in Knights & Magic, Yozora Kasumi in Aikatsu Stars.